Although hearing loss is the third most common medical condition in the United States, it is often left untreated. This is due to the fact that it is considered an invisible condition, and as a result, people experiencing it tend to make listening adjustments while engaged in conversation. The consequences of untreated hearing loss are costly as it leads to not only functional impacts of communication, but also social, emotional, and other health impacts such as social isolation, depression, and even dementia. Overtime, untreated hearing loss can lead to rifts in once close knit relationships and even challenges and troubles at the workplace. If you have recently noticed a loved one exhibiting the signs of hearing loss– turning up the volume high on the TV and phone and radio; asking you to repeat yourself often; avoiding social gatherings and interactions – you may want to bring up the issue with your loved one and encourage them to seek out treatment. Although hearing loss can be a sensitive topic, taking that first step in addressing it with your loved one is crucial in improving their hearing loss. Here are some tips for encouraging your love one to take a hearing test. Before stepping up to the plate and taking a swing at having that conversation about hearing loss with your loved one, do your research first. Learning the facts about hearing loss will give you the necessary tools to have a much more constructive conversation. 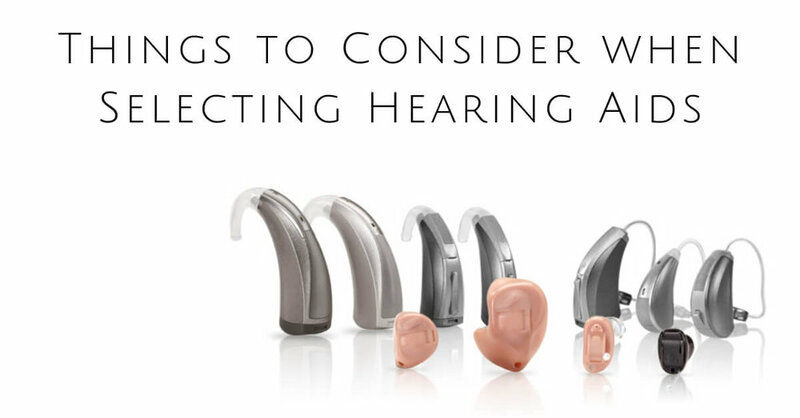 Both the Hearing Loss Association of America (HLAA) and the American Speech Language Hearing Association (ASHA) provide information on signs of hearing loss, the consequences of leaving hearing loss untreated, and the different types and causes of hearing loss. This type of knowledge will be greatly helpful in approaching how you have that conversation with your loved one. The sensitivity of talking about hearing loss with a loved one means choosing the right time and place is crucial. Those facing hearing loss may be hesitant to initially engage in such a conversation, so picking a quiet and isolated place is preferred. It’s best to have the conversation one-on-one conversation as opposed to a large group setting, as a group setting may feel too much like an intervention. Be sure to find a place that is quiet as to respect the hearing ability of your loved one. Being in overly noisy places only makes the conversation even harder for the person you’re trying to engage with. Approaching the conversations with “you” statements may push the person you’re trying to engage away further. Instead of using statements like “You are never listening” or “You are always asking me to repeat myself,” trying reframing the conversation by using “I” statements to allow the listener to see it from your point of view. You may want to try saying something like, “I’ve noticed that when we’re talking, I find that I must repeat myself often.” Framing this from a point of concern that you have takes a little bit of the pressure off of your loved one, who may already be feeling sensitive about the topic. After you’ve shared your viewpoints and concerns about your loved one’s hearing loss, allow them the platform to speak their mind and share their thoughts. More likely than not, your loved one has already noticed the changes in their own hearing ability, but is worries or anxious about seeking treatment. Listen actively to what they share and ask open ended questions to further engage with them on this important conversation. You may find that approaching the conversation in this manner may be more constructive. Even though many adults haven’t gotten a hearing test since our childhood years, it is a painless and quick procedure. The most positive thing about them is that they provide a great deal of information about one’s hearing abilities. If you’re able to reach the point in conversation with your loved one about seeking treatment, share with them the research you’ve conducted about the benefits of treating hearing loss and the positive outcomes. Share with them that the first step towards hearing health is by going through with a hearing test. If your loved one is responsive and in agreement to possibly take a hearing test, offer them support on their journey towards better hearing health. To schedule a hearing test, reach out to us at Audiology Associates of Redding today. Our team is here to help you and your loved one with comprehensive hearing tests and hearing aid suggestions. Give us a call today to make an appointment! Add an Annual Hearing Test To Your New Year's Resolutions! It’s 2019 and we’re certain you have improving your health on that resolution checklist. Each year we all resolve to eat healthier, exercise more, or quit drinking and smoking as a way to improve our overall health. Yet rarely do we think about our hearing health as part of our overall health. Hearing loss is more prevalent than you think; close to 48 million Americans are affected by it. If you haven’t already, add hearing health to that New Year’s resolution list and be on your way to improving your hearing health this year! According to the Center for Hearing and Communication, people with hearing loss wait an average of seven years before seeking help. This is because hearing loss is often gradual, allowing us to make slight adjustments to our listening. Those with low to moderate hearing loss might not even be aware they have hearing loss due to this reason. Hearing tests are important because they allow a hearing health professional to monitor changes in your hearing abilities over time and to provide early treatment if necessary. If you find yourself struggling in everyday conversations or turning up the volume on your TV, you may be suffering from some sort of hearing loss. Even if you believe that nothing is wrong with your hearing ability, getting a hearing test is important for your overall hearing health. Sounds are all around us. From the moment we wake up, we are exposed to them. From your alarm clock to the honks and sirens on your daily commute, these sounds may turn into unwanted noise that impacts your hearing health. That’s why it’s crucial in knowing how loud is too loud. Sound is measured in decibels (dB) and the higher the number, the higher the intensity. According to audiologists, the safe level is 85 decibels (dB). For example, normal everyday conversation is measured at 60 dB, and a motorcycle engine running is 95 dB. Noise above 85 dB over a prolonged period of time may start to damage your hearing. 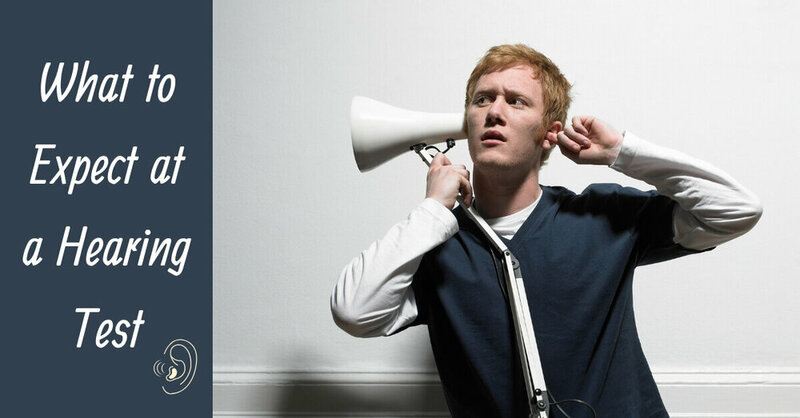 Loud noise above 120 dB can cause immediate harm to your ears. Hearing loss caused by noise, or Noise-induced Hearing Loss (NIHL), is the only type of hearing loss that is preventable, so it is important to take the necessary steps in protect our hearing health. If you regularly find yourself in noisy environments, you should think about taking preventative measures to mitigate any potential hearing loss. Wear hearing protection, such as earplugs or earmuffs, when using loud equipment at work or at home. Foam earplugs are readily available at your local pharmacy. Earmuffs can be purchased at either sporting goods or safety equipment stores. If you need more specialized hearing protection, reach out to a hearing health clinic. In addition to purchasing protection, limiting your exposure to noisy activities helps. You can monitor your listening level on the TV or on your music device. If you’re out and about in a louder environment, stay as far away as you can from the sound source. Although the leading cause for hearing loss is most associated to unsafe levels of noise exposure, research also links hearing loss to our diet and lifestyle habits. A well balanced diet not only impacts your weight, but the vitamins consumed within your daily diet helps maintain your long-term hearing. Harmful lifestyle habits like smoking are also detrimental to our hearing health. A study published in Nicotine & Tobacco Research analyzed eight years of health data on over 50,000 people. The findings revealed that smokers were 1.2 to 1.6 times more likely to suffer from hearing loss compared to their non-smoking counterparts. The toxins and carcinogens can destroy vital hearing components within the inner ear and auditory processing nerves in our brain. If you’ve never set foot inside an audiologist’s office, be proactive and make that appointment to get your hearing tested today. Even your hearing is normal, it is important to establish a baseline to contrast future hearing tests and seek the right treatment. If the hearing test indicates some sort of hearing loss, our hearing health specialists at Audiology Associations of Redding will guide you and find out the best way to improve your hearing health moving forward! If you suspect you are suffering from hearing loss, tinnitus, hyperacusis, or another auditory ailment, your treatment will likely begin with a hearing test. Brief, comfortable and affordable, hearing tests inform your audiologist about your hearing condition. A comprehensive hearing examinations usually lasts 30-45 minutes, depending on which tests are required. There are many different types of tests that work together to decipher your auditory health status. A thorough hearing test can also help define the type of hearing loss you have: conductive, sensorineural or mixed and whether it will respond best to medical treatment or hearing aids. To begin, your audiologist will review your personal information and health history. This healthcare professional will ask questions designed to learn more about your hearing concerns. You may be asked about your symptoms, your history to noise exposure, your family’s history of hearing loss, and the specific types of environments in which you experience difficulty hearing. Feel free to jot down notes ahead of time so that you are prepared and confident. Once your audiologist understands your specific situation, a physical examination of your ears will be conducted by looking into them with an instrument called an otoscope. Using this tool, your audiologist can view your eardrum and look for issues such as a build up of earwax obstructing the ear canal or infections of the middle ear. Hearing tests usually occur in a quiet, sound-treated room designed to keep out other noises, which could interfere with your hearing exam. You will be asked to wear headphones or soft earplugs with wires connected to an instrument called an audiometer that is used to conduct the test. Your test administrator will communicate and provide instructions through the headphones. A series of tones at different pitches and different volumes will play. You will be asked to trigger a button or raise your hand when you hear them. You will need to listen carefully because it is important to respond even if the tone sounds very subtle and you can barely decipher it. The test measures the very softest sounds you can hear at each frequency tested. This part of the test is called pure tone audiometry. A speech audiometry test is another component of most hearing tests; it uses recorded or live speech instead of pure tones. The speech portion of the exam evaluates the softest speech sounds, or the threshold that you can hear and comprehend. You will be asked to repeat back the words that are presented at different levels to see if you can understand them accurately. Some practitioners use speech sounds to determine your most comfortable listening level. Some audiologists use a tuning fork to assess the ability of sound to move through your ears. This is a metal device with two prongs that creates a tone as it vibrates. The tuning fork may be placed behind your ear or on your head during the test. Your doctor can tell whether there’s an issue with sound getting to your nerves or the nerves themselves based on how you hear and process the tone. Your audiologist will make connections between the audiogram and your concerns about your hearing, so that you can begin to explore your personal treatment options. After your hearing test, your newfound knowledge of your hearing health will help to inform your treatment plan moving forward. Using the latest developments in auditory research, state-of-the-art technology, and years of education and experience, our team at Audiology Associates of Redding will be able to find an effective treatment that works for you and get you back on the road to healthy hearing! November is a time to come together with loved ones, friends and family as we start the winter holiday season. With the social flurry that comes with November, it isn’t a coincidence that this is also National Alzheimer’s Awareness Month. Alzheimer’s Awareness promotes disease education and furthers efforts towards effective treatment and the race for a cure. Alzheimer’s disease, a debilitating form of dementia, usually occurs with advancing age and is marked by cognitive decline, memory issues and disorientation. Dementia can have a profound effect on a person’s quality of life and mobility. Unfortunately, hearing loss and dementia are not entirely unconnected. Hearing loss isn’t just an issue with your ears. Leaving hearing loss untreated has huge ramifications for cognitive functioning and places stress on the mind. Untreated hearing loss has been linked to an elevated risk of Alzheimer’s disease. When dementia is present, untreated hearing loss can exacerbate existing symptoms. There is good news though - while most hearing loss is permanent, it can also be effectively treated with hearing aids. Treating hearing loss has been shown to relieve cognitive stress. Additionally, treating hearing loss helps us stay connected to the people and things we value in life. If you or a loved one is experiencing hearing issues, it’s time to schedule a hearing exam. While the connections between dementia and hearing loss may not be intuitive, they make sense when you understand the impact that hearing loss has on the mind. Hearing loss largely affects the activity of the mind making it close to the cognitive concerns of dementia. Permanent hearing loss is mostly rooted in damage to the sensory cells of the inner ear. Tiny hair cells become damaged throughout our lifetime. They lack the ability to repair themselves, so damaged hair cells will never regrow or reform, they simply cease to function. When a significant number of hair cells are no longer functional, it starts to manifest as hearing loss. Distinct details about sound and speech become hard to distinguish. When this happens, our brain tries to pick up the slack for us. While the mechanics of the ear are used to detect sound, interpreting the meaning of a sound is done in the brain. The less incoming sound signals we receive, the harder it becomes to discern that meaning. The brain working under the stress of hearing loss, devotes more resources towards understanding important noises, like speech, taking energy away from other cognitive tasks. While working harder can compensate a little bit for the hearing loss, mostly it is just challenging and exhausting mental work. Attention given to the task of hearing is taken away from other important mental jobs - like coordination and balance, encouraging the likelihood of accidents and falling. This cognitive strain is also thought to be a major factor in why Alzheimer’s is more prevalent in people with untreated hearing loss. The effort and resources used for trying to hear create shortcomings in other areas of the brain and may put more stress on people who are already susceptible to dementia. Untreated hearing loss also has a role in conditions that can worsen Alzheimer’s disease. Social isolation and lack of mobility can be fed by hearing loss and lead to the symptoms of dementia deepening. Social isolation is a health issue where a person lacks connection and communication with the world around them. Hearing loss makes it harder to connect with the world. Trouble hearing makes it more stressful to participate in social activities, even interacting with family and close friends. Anxiety and stress brought on by untreated hearing loss make it progressively harder to engage socially. By withdrawing from regular interactions and activities, a person puts themselves at risk of isolation. The symptoms of dementia can worsen significantly if isolation and hearing loss are also involved. A person already undergoing cognitive issues can become more confused and upset when isolation is a factor. Hearing loss creates further barriers in communication. Treating hearing loss has shown to be a remarkable source of cognitive relief. In a recent French study almost 80% of patients receiving hearing loss treatment showed significantly better cognitive functioning one year later. If you or a loved one is facing hearing issues, now is the season to address your hearing health. Your hearing is part of this season of connecting with family and loved ones and Audiology Associates of Redding can help. Contact us today to open the path to life-long hearing health. Have you noticed differences in the way you communicate with a loved one? If they need you to talk louder or repeat yourself often, it could be one of the many signs of hearing loss. Hearing loss is incredibly common, but many people have problems taking the initial step to confront the issue. On average, studies have found that people ignore their hearing issues for seven years before seeking help. While people tend to procrastinate around their hearing loss, the earlier it is treated the easier it is to manage, so encouraging your loved one to get a hearing test is always a good idea. If left unaddressed, hearing loss can greatly restrict a person’s overall health and their quality of life. Not sure where to start? Here are some tips for helping someone you care about. If someone is struggling with hearing loss, it is important to know what to look for. Most people with developing hearing loss can detect sound, but instead of hearing it loud and clear it may come across as distant and muffled. While they can catch that something has been said, they may struggle to understand it. The first and most common sign of hearing loss in a loved one is in their conversational behavior. If they ask you to speak up or repeat what you said frequently, even if you are talking at a normal, clear volume, it can indicate something is wrong. Sometimes a person with hearing issues will bluff their way through an interaction - possibly giving out-of-context replies and answers to what’s been said. Out in the world, hearing loss can restrict a person, especially in loud and busy settings. If your loved one is withdrawing from restaurants, parties, travel, and other social functions hearing issues may be responsible. Hearing issues may make them very quiet or distracted in large social gatherings. If you watch television or listen to music or the radio, take notice of how they set the volume. Volume levels that are constantly being turned up can mean that hearing at lower volumes has become a challenge. Detecting any of these signs or multiple signs is a good indicator you should talk to your loved one about hearing loss and encourage them to get a hearing exam. Talking to your loved one should be a quiet, focused conversation. Make sure you have a good indoor setting where you can have a private discussion without background noises interfering. Explain to them what you’ve observed and why you’d like them to get their hearing tested. Then, take time to listen to their perspective and feelings about hearing loss. For many people, learning that their hearing issues are affecting other people is the reason they confront their hearing loss. Often, a person believes that their hearing issues only involve themselves and don’t have an impact on how others communicate. Of course, with hearing, it always involves more than one person. Losing the ability to communicate with someone you care about can be heartbreaking. Let your loved one know how much you value your relationship with them, and why you care about their health. The good news to share is that while hearing loss is usually irreversible, it can be treated with hearing aids and other assistive devices. Hearing aids have developed in leaps and bounds over the past several decades. Modern designs are barely noticeable when worn, slipping discreetly behind the ear or inside the ear canal. Hearing aids are also individually programmed to match a person’s hearing loss precisely and help them hear the tones and frequencies they are most challenged by. Using hearing aids can help a person hear better and greatly improve their quality of life. Hearing aids make comprehending speech and following conversations easier and more pleasurable. They can help a person continue engaging in the social activities they enjoy and staying close with the people they love. What’s the next step? Be there for your loved one if they need help making an appointment and talk to them about the results of their hearing test. Here at Audiology Associates of Redding, we love working with people to find hearing solutions that match their lifestyle and needs. Our comprehensive hearing testing is painless and noninvasive, and can give you or someone you care about a complete picture of any hearing issue. Hearing loss is extremely common, effecting about one-in-three Americans 65 and over and one-in-two Americans over the age of 75. These numbers are quite staggering. One might assume that if half the population over the age of 75 has a hearing loss, then hearing aid use would reflect similar numbers. Unfortunately, this is not the case. In fact, studies have found that only about 30% of people who could benefit from hearing aids actually use them. Why do so few people with hearing loss use hearing aids? One answer to this question is that many do not realize or accept changes in their hearing. The average American waits about seven years from the time they notice changes in their hearing to the time they seek treatment, meaning people are living almost a decade with untreated hearing loss on average. It is imperative to know the early signs of hearing loss to ensure you or your loved ones seek treatment as soon as hearing loss begins to present itself. 1. That obnoxious ringing in your ears. If you have started to notice an annoying ringing, buzzing or clicking in your ears, it is most likely tinnitus. Tinnitus is a symptom of an underlying issue that causes one to hear phantom noises - most often ringing or buzzing. Tinnitus can be constant, or it can come and go. It can also be extremely distracting, or be simply a bit bothersome. However, your tinnitus presents itself, it’s a good indication that it might be time for a hearing assessment. A large majority of people who suffer tinnitus also have a hearing loss. 2. Hearing, but not understanding. This one is extremely common, and quite confusing to many. It may feel as though others are mumbling or speaking in hushed tones. This is due to the fact that with hearing loss, often the first thing to go is our ability to decipher subtle differences between sounds such as “b” and “p”. This can cause a lot of confusion in conversations and can cause one to feel like they are hearing people perfectly fine, however, just cannot quite grasp what they are saying. 3. Comments from friends and family. Often, our closest friends and family members are the first to notice changes in our hearing. If your friends and family have expressed a concern about your hearing, have complained that you are “not listening” to them or grumble that the TV volume is always too high, it may be a sign that there have been some changes in your hearing. 4. Difficulty with or withdrawing from group conversations and social situations. Another common early sign of hearing loss is difficulty holding conversations with more than one or two people at a time. This is because our brains are using extended resources to hear, and cannot switch focus as quickly and accurately as they did when our hearing was better. While some people recognize this difficulty right away, trouble with group conversations is not as obvious to others. These people tend to find themselves subconsciously withdrawing from social situations or group conversations they used to enjoy - simply because the conversations have become frustrating and difficult. 5. Frequently asking others to speak up. Think back to your last few conversations. How many times did you need to ask your communication partner to speak up or repeat themselves? Did you find yourself “smiling and nodding” because you couldn’t quite catch what they said? Of course we all need phrases repeated from time-to-time, however, if this is happening quite often, it is probably time for a hearing screen. 6. Exhaustion after social events. Straining to hear takes a toll on our bodies - a toll that can leave us feeling extremely drained. This is especially true after social gatherings with multiple people such as office happy hours, family parties or group dinners. Feeling overly exhausted after attending these types of events may be a sign of hearing loss. If you live in the Redding area and have noticed these or any changes to your hearing, reach out to our friendly staff today. We are proud to offer comprehensive hearing screens with knowledgeable, professional and caring audiologists. We look forward to an opportunity to walk with you on your journey to better hearing and an improved quality of life.